Konnichiwa! 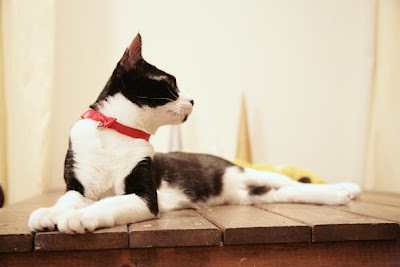 from Tekorin-the Tare Panda cat. Tare Panda is a famous Japanese character. Now take a look at the Tare Panda cat again in colors! Now he is transformed into a kitty. Tekorin likes to take a peep. Tekorin was busy doing his treasure hunting. Today,B-sensei wants to introduce you a book! 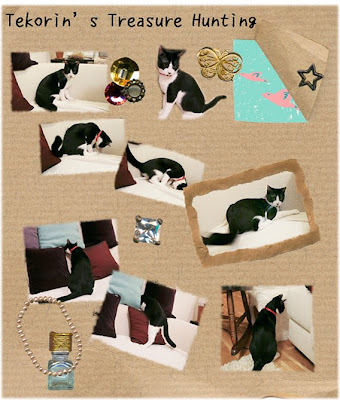 "This is a wonderfurrl book. Mom really wants to buy this book. But it is a little too expensive so she has to wait. 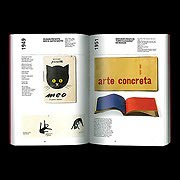 And you can see all of the genius's books in this book. 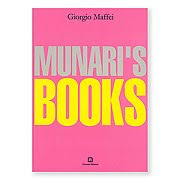 she begins to feel she wants to buy all the Munari books. That is the only bad thing about this book. cats will always come first to me. And he really is a genius to enjoy life. He stimulates my interest in joy,happiness,curiosity,and love. It seems now Ku-suke wants to add his points! 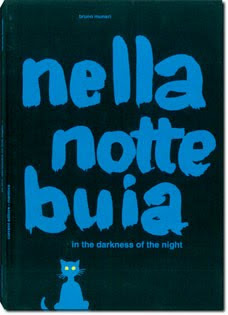 "To me Angel Munari is an angel for black cats! 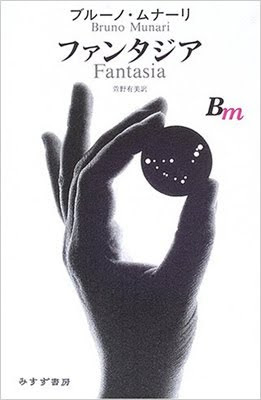 Actually, he is almost the same as the Angel Munari. 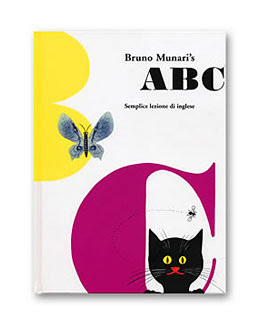 Every children has the same wings as Munari. He had a spirit of a child. 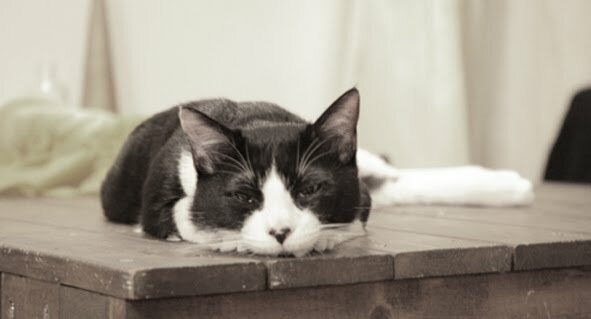 We received a sad news from one of our furriends. She had been having a very hard life before her new Mon&Dad welcomed her. Just can't believe how bad she was treated. She was worn out when she came to this forever home. But,I believe her second life was full of happiness. She was loved and loved and loooooved by new family. And I always saw her smiling with this true familly. 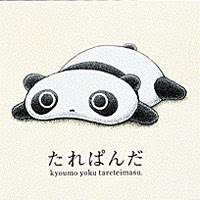 We can see why Tekoren looks like Tare Panda. Those ebooks look and sound mighty interesting. Yes, TenTen looks very much like Tare Panda! 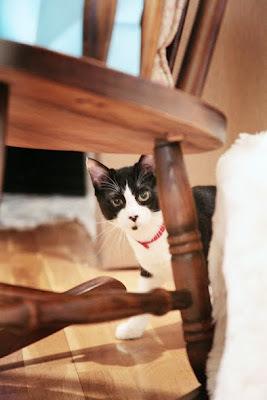 And we enjoyed the pictures of him peeking under the chair. Kawaii, desu ne! 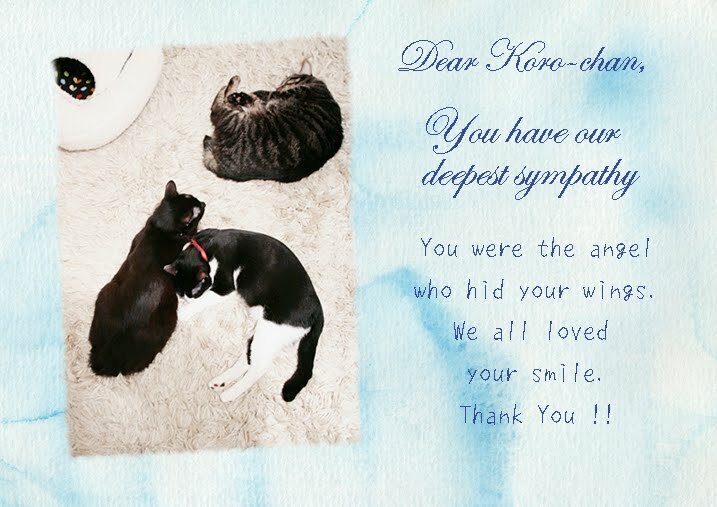 We were sad to learn that Koro-chan was called to the Rainbow Bridge. But it made us feel better that she was so happy and well-loved by her forever family. 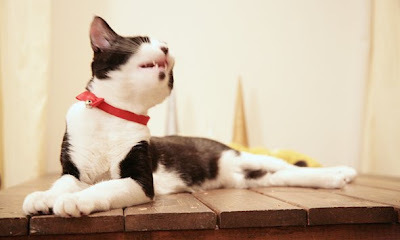 This is my first time visiting you blog. What beautiful cats you have. I am sorry about Koro-chan, it is always hard to lose a loved pet. Black and white cats are so special to me. 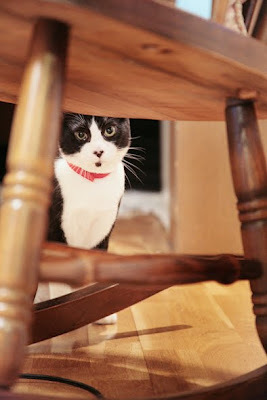 I had a wonderful black and white cat that died of cancer when he wasn't quite three years old. I have enjoyed visiting here and will come again soon.